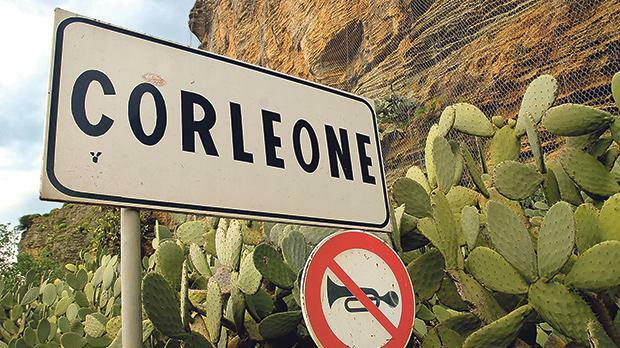 Don’t we just love the Sicilian connection? For as long as I can remember, any Italian investment in Malta has been described as “Mafia money”, with a small element of pride. It shows that we are connected. There’s a fascination in it. I heard that Malta was described in the Italian Parliament recently as being ‘a Mafia state’ – so it must be true. Recognition at last. All it really meant was that Mafiosi, on the run, can seek and find sanctuary on these islands. It sounds logical… which policeman is going to arrest them, which lawyer prosecute them, which Maltese judge condemn them? But ’twas ever thus. News of the death in hospital of Salvatore Riina last Friday was the most talked-about subject in Gozo at the weekend. And why not? Many people here knew him, or at least had seen him often, sitting in the morning sunshine in St Francis Square. For those (non-Gozitans) who are not aware, “Toto”, as we referred to him here, was the capo di tutti capi of the Sicilian Mafia. For a long 30 years he was Interpol’s most wanted man. During that time he was in hospital under his own name at least twice in Palermo and he even got married in church. He brought his new bride on honeymoon to Gozo. They liked the island so much that he bought a house in Qala, with a sea view. Toto had a lawyer here. He bought land here. During the 1980s and early 1990s he would return, supposedly when things got too hot for him back home in Corleone, for lots more holidays. Nor did he ever make any attempt to be inconspicuous. His wanted poster was an excellent likeness and instead of looking like a multimillionaire, which he was, he always dressed like a farmer (which he never had been). He came in the first Maserati, in silver grey, that had been seen on the island – so I guess that he arrived via Malta. On a car-obsessed island, the vehicle attracted more attention than he did. For Toto, whose nickname in Sicily was “The Beast” and was wanted for 30 murders (he was eventually sentenced to life imprisonment on each of 26 of them), had been here so many times, usually sipping his espresso at a pavement café, frequently in the company of a local landowner or with a monsignor who would translate the contents of the daily newspapers for him. However, Gozitans knew about omertà, the Mafia code of silence. They were not going to alert the local police to his presence. After all, we are all really Sicilians, aren’t we? In any case, did we think for one moment that the police, in their headquarters less than 130 metres away, were not aware of it? It was only when Riina ordered the assassination of two successful Mafia- investigating magistrates in Sicily that the Italian State decided that basta was basta and arrested him in his Palermo apartment. Two car bombs – one also killing five bodyguards, the other getting the magistrate, his wife and two bodyguards. When we had a spate of car bombings on Malta (unpublicised elsewhere), they were given to a magistrate to “investigate”. Here, it was only when the island’s most prominent journalist was blown to pieces, making news worldwide, that Malta called in the FBI, no less, for help in the inquiry. With no result, so far. Now the European Union is also on the case and people shrug their shoulders. So what? In the worst-case scenario we could be thrown out of the EU. Do we care? By the time that unlikely event happened, Malta would have become a net contributor – that is, paying in more money than it gets back – so what would be the benefit of membership anyway? Better, by far, to be aligned with the Mafia. After Toto Riina’s imprisonment, his successors started to clean up their act, abandoning old cheap practices of protection money or buying votes for corrupt politicians and investing their ill-gotten gains in good causes – building homes for the elderly and private hospitals. After all, the money has to go somewhere. Apparently the Calabrian ’Ndràngheta (the word, from the Greek, refers to “manly virtue” and strength) now even more powerful and successful than the Sicilians, has recently invested €2 billion of drug money in Malta. Who cares where the money comes from? They have it anyway. If they have to spend it, it’s great that they spend it here. It probably explains why the economy is reportedly so successful. I am told that a “hit” can be arranged on Malta for as little as €5,000. If I know that, the police must know it too. So isn’t it better to be “friends” with our Mafiosi? Or even “friends of friends” with the Cosa Nostra? Like many people elsewhere, here too we identify Sicily with the Mafia and (generalisation coming up) many seem to think of it as a romantic bunch of film star characters (like, say, Marlon Brando, Al Pacino, Robert De Nero…) who are more akin to the legend of Robin Hood than to a bunch of drug-pushers and thugs who, if they are unable to find the person they want to kill, will have no problem murdering his children instead. This makes the local attitude to palpable corruption understandable. We like to hear about it, even to read about it. We know it exists and that it’s illegal but it’s okay, because we might someday want to take advantage of it. So it is handy to have it, in case we need it. Maltese people – challenge this as much as you like, but I hear it almost every day – talk confidently and knowingly about having their own “Mafia”. Perhaps (the mention is sometimes implicit) they are secretly part of it. Isn’t it, sort of, exciting? Doesn’t itgive us all the feeling that we are safe through association? So long as we don’t pretend that we are a democracy. So long as we don’t rock the boat… like Daphne Caruana Galizia did. Revel Barker is a semi-retired English journalist and newspaper executive and long-time resident on Gozo.